« Make Freeport Your Destination! 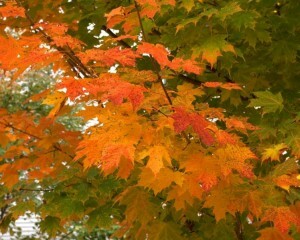 Tomorrow (October 13) the final foliage report of the season will be issued. 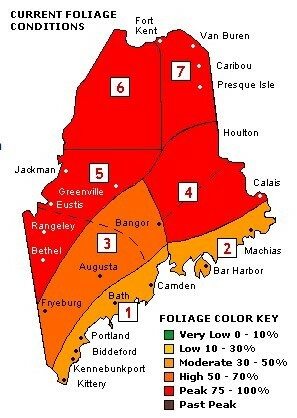 It appears that the peak foliage for the Maine coast will be pretty much on schedule. While it first seemed that the foliage started early this year, like most all the other seasonal changed did, it has stretched out nicely, as you can see in the adjacent image from last week’s foliage report. 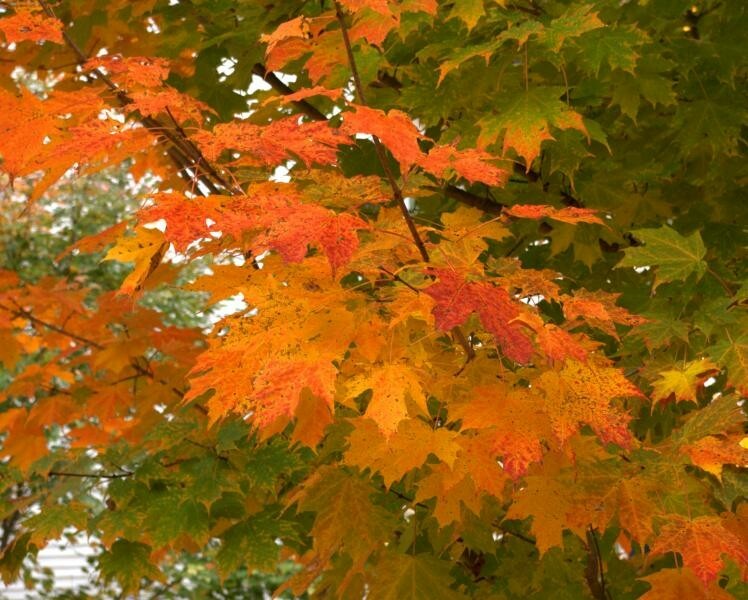 As of last week’s report, the area of the coast around Freeport, Brunswick, and neighboring areas were already beautiful, with brilliant hues of yellow and red contrasting with the vibrant greens of the evergreen trees! We have seen a bit of rain and wind, both of which tend to knock down the colorful leaves, but as of Columbus Day there were still plenty of leaves and lots of color everywhere. One thing that always seems peculiar is that within a region, different spots turn at different times. There is a spot not far from Brewster House Bed & Breakfast where the leaves were all at peak weeks ago, and now their leaves are long gone. At the same time, down a little back road, there are spots just now coming into their peak. These are just some of the things that make discovering the beautiful areas part of the joy of visiting Maine!